Happy Anniversary to Carly & David. One year later, the ballroom is complete — but still the photos from this feature in Style Me Pretty are gorgeous! Thanks to Magan Blasig at Urban Grey Photography, and to STEMS Floral Design for providing such photogenic anemones and ranunculus…. : ) Click on below to see the full story! Click here to see the feature on Style Me Pretty. With our First Harvest Tasting coming up for couples getting married between April 15 – June 15, I thought it’d be nice to showcase some of our organic sources in the kitchen. La Quercia supplies us with American-made, organic prosciutto — and has received many awards for their deeply flavored, melt-in-your-mouth cured meats. 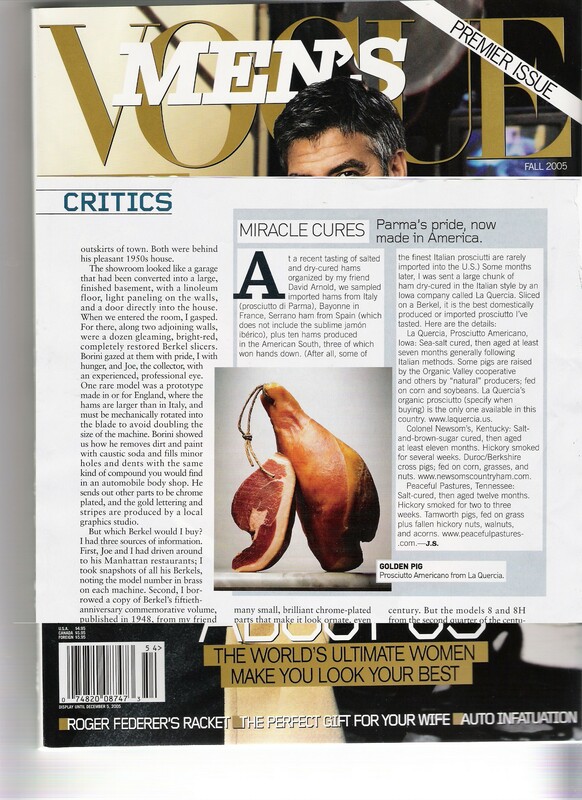 Bon Appétit Magazine says “their products are served by perfectionist chefs like Mario Batali and Alice Waters” and Vogue says it’s “the best domestically-produced or imported prosciutto I’ve tasted.” Check out their website for more about their (many!) awards, accolades and words of praise. If you’re looking for the best of the best, this is it. We believe Kathy and Herb and their team at La Quercia are doing what is imperative but also natural: returning an authenticity to our nation’s food production. This authenticity and quality is what drives our recipe creation and sourcing in the kitchen — as well as the gardens and all other aspects of event production. We’ll be testing recipes in the coming weeks for our First Harvest menu… Do you have a favorite recipe featuring prosciutto? We’d love to hear it! I snapped a few quick instagram photos at the Austin Monthly Bridal Bash. Did you? If so, I’d love to see your photos! (email adele@barrmansion.com). We hope to see you at Austin Monthly’s Bridal Bash this Sunday… Our Executive Chef, Chris Coleman, will be preparing the delicious food you see below on-site in the Bridal Bling Lounge; it promises to be a mouth-watering affair! In addition, there are a ton of amazing vendors participating. Blooms | STEMS | hydrangeas, ranunculus, tulips, calla lilies & peonies. Cake | Butter & Lemon Cake with Cuttercream Icing. Chocolate Zucchini with Chocolate Buttercream Icing. All this cold, rainy weather excites my anticipations for a verdant and stunning spring. Of course our gardens are far from bare even in February; take a peak below at the highlights from the garden this week…. And finally: do you recognize these little sprouts? We’re going to have amazing bluebonnets this year!